Hosted by Susanne Living to Tell the Story, this is a meme I want to participate in to remind me to keep looking for the silver linings around clouds, and to take joy in the "little things" of life. So, eventually, I really will read it! 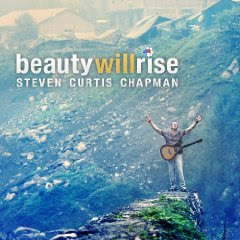 I wrote about Beauty Will Rise yesterday and WHY I am so excited about it. 5. IT'S A WEEKEND (and daddy doesn't have to go to work tomorrow)!!!!! Always fun to read the blog of a fellow bookworm. Isn't it great when we get paid to recycle books? BTW, loved your post about SCC. You so perfectly captured the pain we feel when we lose a loved one but the joy we have knowing where they are going. I'll be looking for his new album. I always enjoy his work. BIG congrats on one more exam down. I am so proud of you! Can't wait for SCC new album. It's gonna be a heart jerker, in a good way. Congratulations on getting closer to your degree! I have always wanted to go to a Renaissance Fair. I don't know if or when they have them around here. I meet need to find one of those places where you can trade in books. After I pass them around, I give them to Salvation Army, but I wonder if anyone finds them there. I have mixed emotions about Redeeming Love. I'll be interested to hear what you think of it. You won't regret Redeeming Love! I hope you like Redeeming Love! I'll admit, some of it made me a tad uncomfortable, but then, so does the Bible. (Not that I'm trying to elevate this fictional account of Hosea to inspired status, but you know what I mean. . .) Still, Francine Rivers is one of my FAVORITE authors! Yipee for the weekend. I am also glad it is here. Congrats on getting one more exam out of the way! The renaissance faire looks like lots of fun. 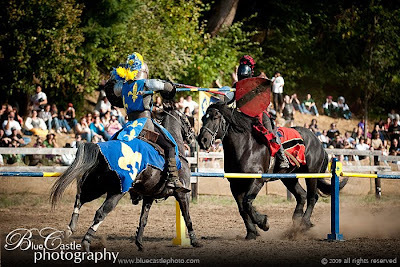 My kids would love jousting. I loved Redeeming Love! I like Francine Rivers a lot too. Have a great weekend! 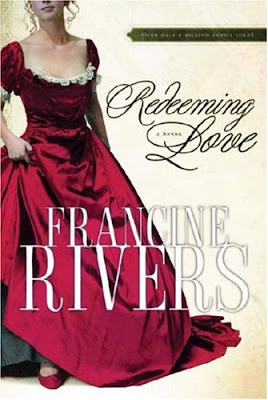 I read Redeeming Love last week and really enjoyed it. I also enjoy your blog and have it on my blog roll.